Lahore (Staff Report): The Lahore High Court (LHC) on Friday allowed former premier Shahid Khaqan Abbasi to contest the upcoming elections from NA-57, Murree — his home constituency. 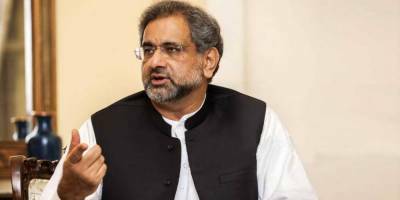 A two-member bench, headed by Justice Mazahir Ali Naqvi, suspended the appellate tribunal’s judgment and allowed Abbasi’s candidature. On Wednesday, the appellate election tribunal disqualified Abbasi declaring that he is not Sadiq (truthful) and Ameen (trustworthy). In its written verdict, the tribunal said that Abbasi does not meet the requirements under Article 62(1)(f) of the Constitution of Pakistan and not a qualified person to be elected or chosen as a member of Majlis-e-Shoora (parliament). The verdict read that the former premier was found "guilty of concealment of facts and withholding of the complete information from his voters." It said that Abbasi "is not an honest and Ameen person and after such declaration, declare him as not a qualified person to be elected or chosen as a Member of Majlis-e-Shoora (Parliament) within the meaning of Article 62(1)(f) of the Constitution of the Islamic Republic of Pakistan, 1973." On Monday, the tribunal reserved its verdict on an appeal against the acceptance of Abbasi’s nomination papers by the returning officer (RO) for NA 57. Announcing the decision, the tribunal head, Lahore High Court Justice Abdul Rehman Lodhi, accepted all the objections of the petitioner. Petitioner Masood Ahmed Abbasi had challenged Khaqan Abbasi 's candidature, accusing him of extorting money from the national exchequer. The petitioner had alleged that the candidate, during his tenure as the prime minister, had obtained Rs1 billion from the national kitty and given the amount to his son to perform Umrah. Moreover, Mehmood had stated that the former premier had supported a controversial interview that Nawaz Sharif had given, accusing him of purposefully damaging national security.